Various Backing Paper Felt Flowers Die Cut Layer Butterfly With Ribbon And Bow Yellow Gem. 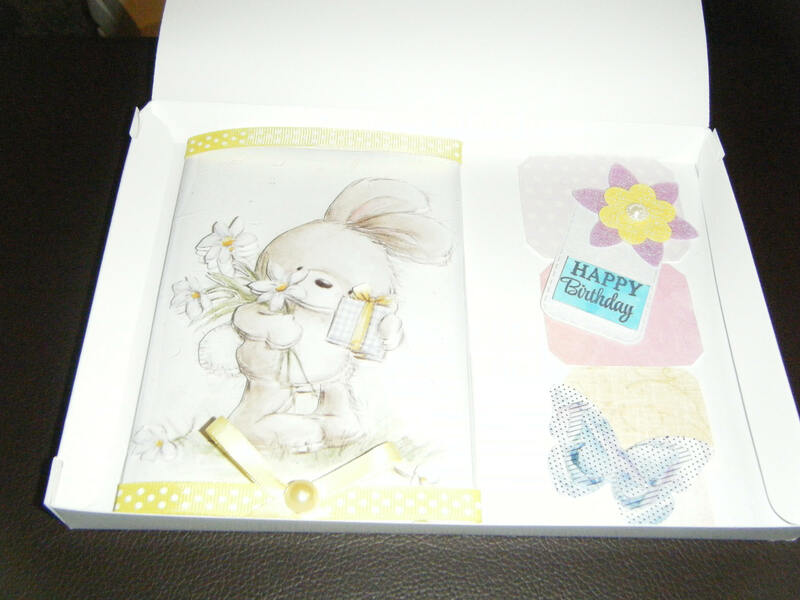 Decoupage Design Is Rabbit Holding Flowers And Present. Greeting Happy Birthday.